My Peruvian Durango and PPPeruvian Mr. President bloodline. Fettuccine has lovely conformation and a striking presence and personality. Her primary color is Dark Brown with small amounts of White on her feet and head. 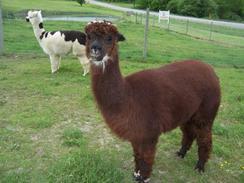 Her crias possess the fine qualities of their sire and she is a superb mom. 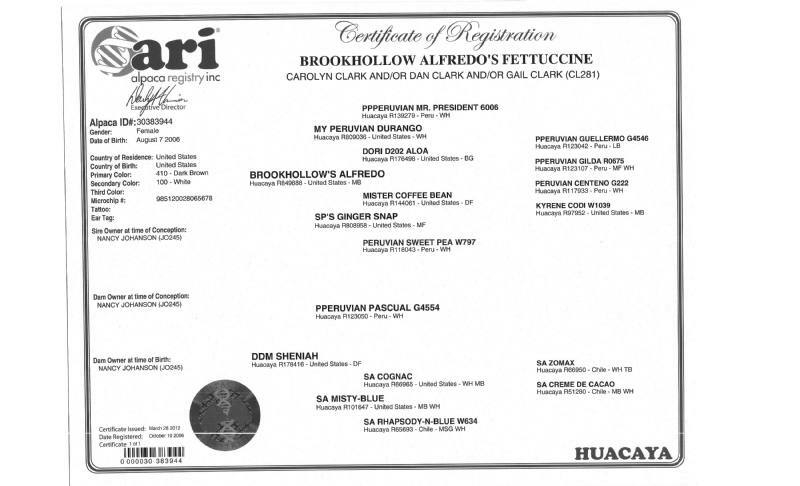 Her sire, Brookhollow's Alfredo, is a multiple award-winning macho, with firsts at MAPACA and the North American Alpaca Show. 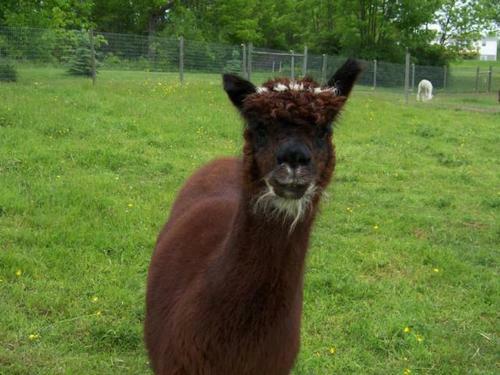 Fettuccine sells with a free breeding to any Heavenly Sunset Farm herdsire, with several to choose from for an outstanding cria.